Castello di Lispida Wine Resort lies in the very heart of the Euganean Hills Natural Park, in a protected area of beautiful and peaceful landscapes, just the right place for people who like to walk in the nature and wander around with mountain bikes, which are at free disposal of our Guests. Close to the Castle you’ll find 4 beautiful and demanding golf courses (two courses 18 holes par 72, one course 27 holes par 72 + par 36 and one 9 holes). 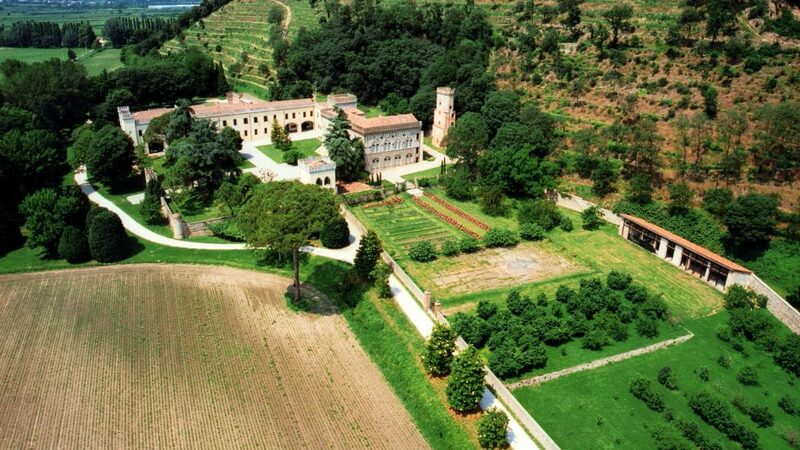 If you are an art lover, the Castle of Monselice, the medieval village of Arquà Petrarca, the cities of Padova and Venice and many other places will offer you interesting cultural opportunities and world known works of art. The farm of Lispida covers more than 90 hectares, and has a thermal lake – with hot springs – which produces mud useful for its therapeutic and relaxing properties. Not far from the Castle there are several Thermal Centres where you can book every kind of massage and treatment, and , of course, the world famous mud therapy. In the surroundings you can also find a lot of hot thermal water swimming pools.